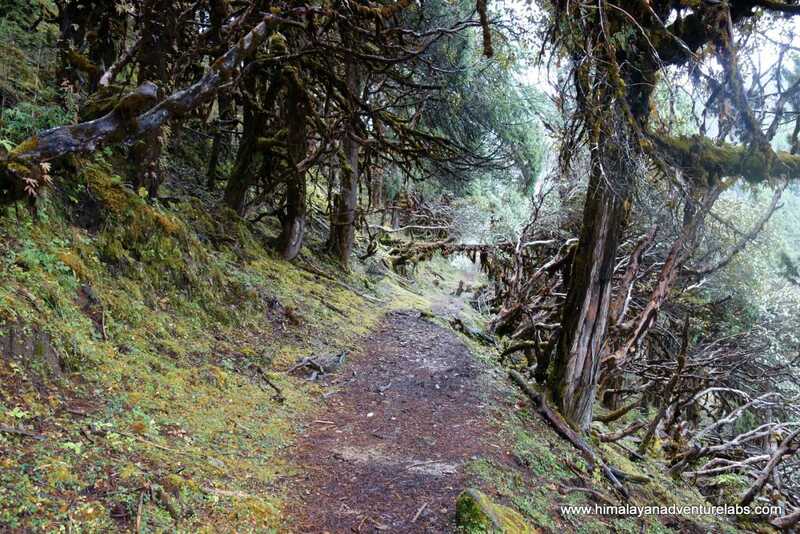 Sudeep Kandel and Seth Wolpin, co-owners of Himalayan Adventure Labs (HAL), report a recent attempt at what they call the ‘Langtang Lollipop’. 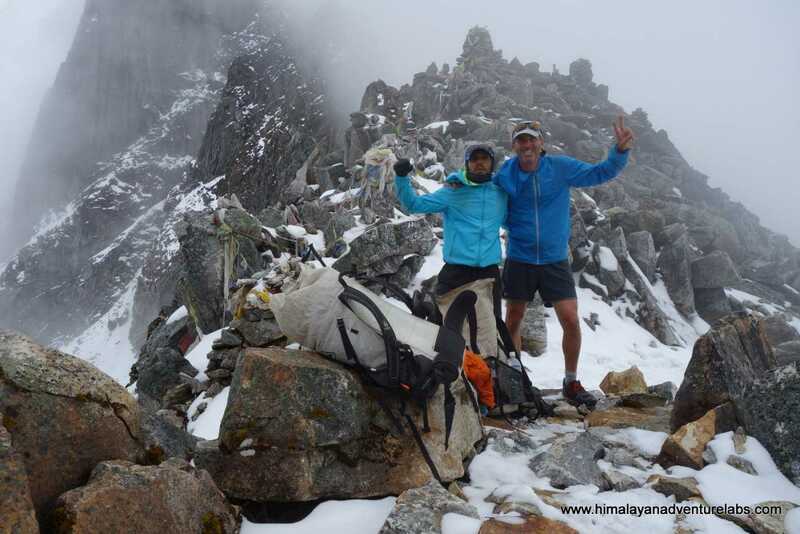 The two set the FKT for the Manaslu Circuit in 2015 and have a number of successful fast packing adventures under their belt. The original plan – a lollipop course. Maybe next time! 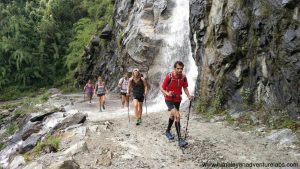 For this adventure, their goal was to leave Kathmandu on foot and travel north on the Helambu trail before starting a giant clockwise circle that would take them through Gosaikung, across Lauribina Pass, up the Langtang Valley, and then south via the remote and rarely visited Kanja La before returning on foot to Kathmandu. They co-led a group of 6 people, all endurance runners, and traveled in their usual fast pack style: quick, light, and self-supported. 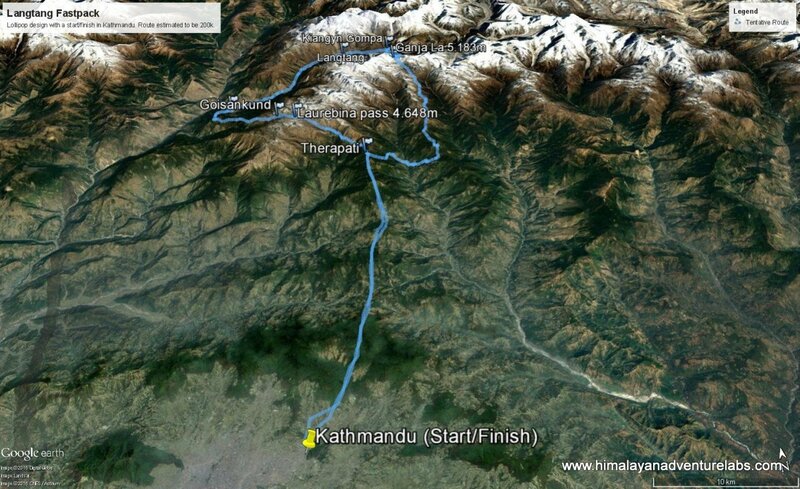 Unfortunately, the team ran into deep snow on Kanja La and had to back-track and exit the Langtang Valley from Syrabu Besi. Seth and Sudeep have laid out their 2018 plans here with a full supply of info including profiles and distances day by day! 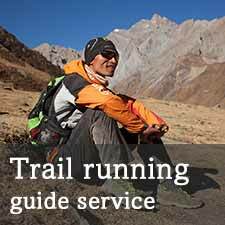 This entry was posted in Blog and tagged fastpack, Fastpacking nepal, ganja-la, Kanja la. Bookmark the permalink.